If there is anything outside move it inside such as trash cans, furniture, pallets, debris, etc. if possible. If not, make sure it is secure. Secure dumpster lids to remain closed. Close and lock all overhead and personnel doors. Unplug all electrical equipment and appliances, except for refrigeration. Move equipment or furniture away from windows, overhead vents and skylights to avoid water damage. If you have a truck that you will be leaving in the parking lot, move it in front of an overhead door, to provide extra protection. Close the ridge vents on the roof to prevent blowing rain from coming in the building. Before leaving the property, recheck the securing of all outdoor objects. As soon as conditions are safe, we will be out surveying damage and will have crews on stand-by. 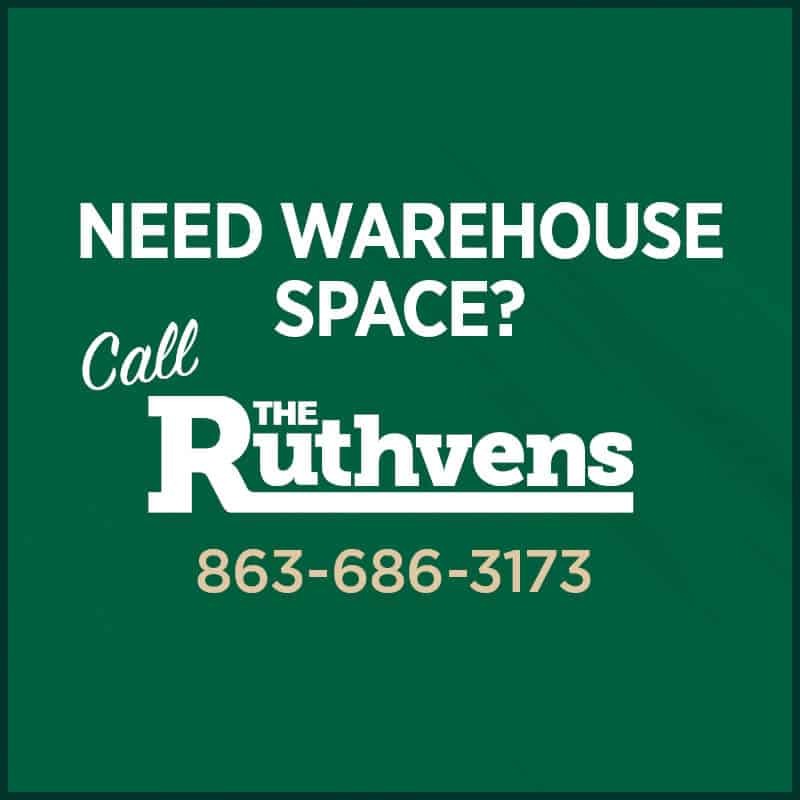 If you have damage to your warehouse, call us at 863-686-3173 or the cell phone numbers listed below. We will be answering calls 24 hours. Most of all stay safe!